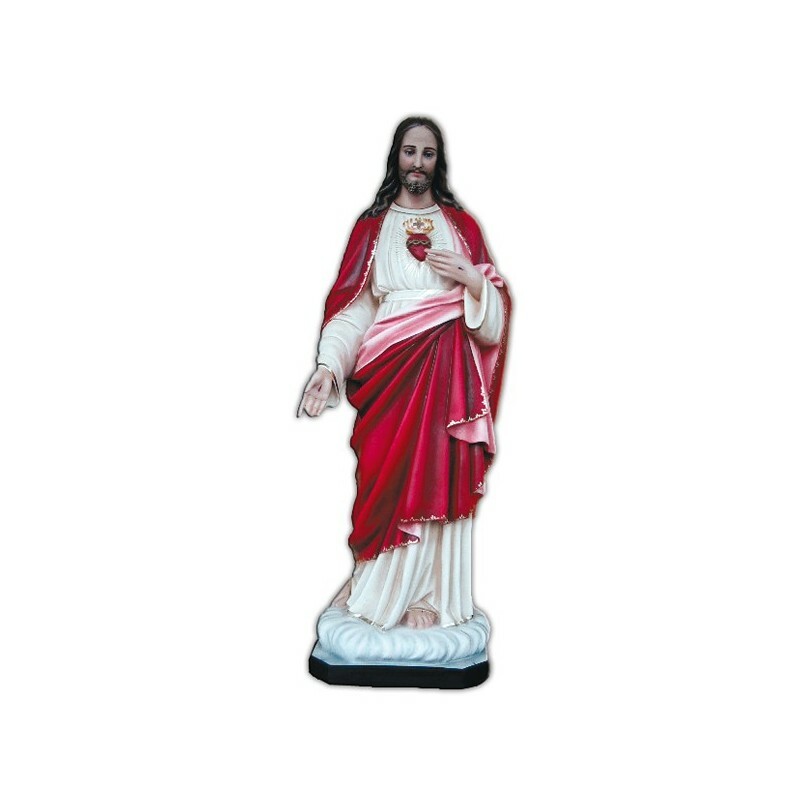 Statue of Sacred Heart of Jesus 165 cm. 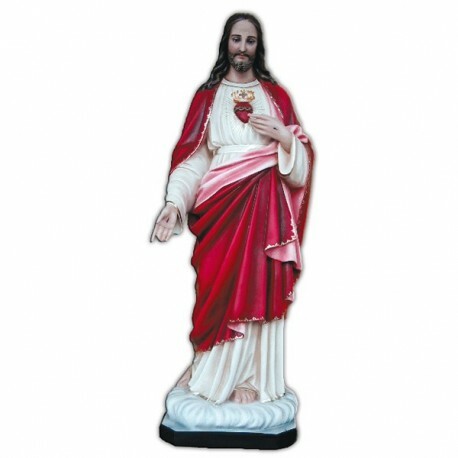 Statue of the Sacred Heart of Jesus, 165 cm of fiberglass, handmade in Italy. The religious cult of the Sacred Heart of Jesus hails from the late Middle Age, between 1200 and 1300, in Germany. Only around the XVII century it spread over, thanks to the private revelations of Margherita Maria Alacoque, Claude La Colombière and all the brothers of the Jesus Company. Years to come they were founded many Religious Congregations both male and female. The Christ is illustrated with a white clothing and a red tunic. He points out with his left hand a Heart on his chest while the right hand can be pointed towards people. The Heart is represented wrapped in a crowd of thorns which symbolize the sins of mankind and a flame on its top, a symbol of ardent love and charity.